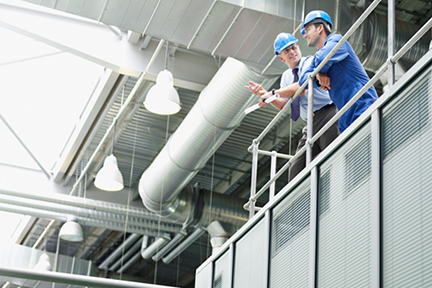 Addressing air filter performance is a crucial component to keeping HVAC systems operating effectively and efficiently in server environments. Ensuring data centre equipment is running at peak performance while avoiding serious system issues and significant downtime is a top priority. The Park’s server buildings are set in the desert terrain of Nevada, so filters installed there must be durable and have a high dust holding capacity for this demanding environment. With the MERV 13 filters that this company was using, filters sometimes had to be replaced immediately after a storm. A more durable type of filter would deliver cost savings, decrease labour time, and reduce the risk involved with the difficult operating conditions. AAF International suggested that this technology company try our VariCel® VXL filters in their data centres, since these filters provide superior operating efficiency and performance in high dust load environments. The VariCel VXL filters are manufactured with two layers of glass fibres, coarse fibres on the air-entering side and finer fibres on the air-leaving side. This dual-density design allows dirt particles to be collected throughout the entire depth of the media pack, utilising the full filtering potential of the media and maximising dust holding. 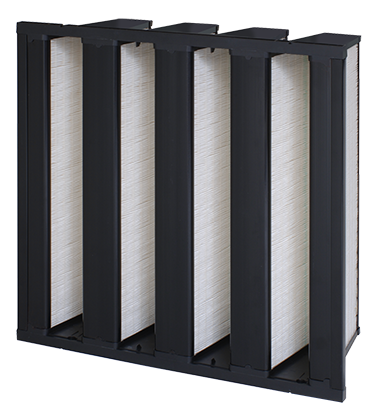 Maximum dust holding capacity extends the life of the filter, minimising operating costs and risk. In addition, AAF International’s VariCel VXL MERV 14 filters were the same price as the current filters that the company was using. The higher MERV rating would provide greater efficiency and lower energy costs with the necessary durability. For these reasons, the company agreed to try the VariCel VXL filters. Additionally, 600 MEGApleat® MERV 8 filters to utilise as prefilters have also recently been ordered. This was decided due to MEGApleat’s durability, since these filters have a heavy-duty galvanised expanded metal support grid, as well as pleat stability and low resistance. The MEGApleat M8 filters, combined with the VariCel VXL filters, will provide peak operating efficiency and performance with a lower total cost of ownership. Once these filters have proven their performance value, they will be ordered for all server buildings as well. 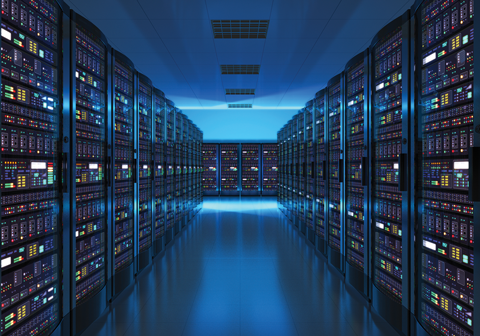 Data centres have unique requirements and strict regulations compared to typical commercial sites. Particulate and corrosive gaseous contaminants have become a serious problem for data centres and server rooms.